Mark Levy is the founder of Levy Innovation, a positioning firm that helps consultants and other thought leaders increase their fees by up to 2000%. His clients include Marshall Goldsmith, Simon Sinek, David Meerman Scott, the CEOs of major brands, the former head of the Strategy Unit of the Harvard Business School, and many TED and TEDx speakers. His book Accidental Genius: Using Writing to Generate Your Best Ideas, Insights, and Content has been translated into 10 languages. In this podcast, Mark talks about why it’s critical for companies and business people to develop effective positioning. He discusses why great books are not necessarily written logically from beginning to end and why it makes sense to start developing thought leadership with a single big idea. In this podcast, Christine talks about how Marketo is leveraging partners to drive growth. She discusses how Marketo’s technology, service and distribution partners extend the company’s offerings, helping to accelerate Marketo's growth into some of the world's most disruptive companies. As head of the global partner program of Google Apps, Jim Chow is responsible for the overall Apps partner business and success of the 10,000+ Apps resellers worldwide. Jim’s focus is building a vibrant, next-generation partner program that enables partners to build thriving businesses around Google Enterprise’s cloud solutions to further accelerate the Apps business and adoption across companies of all sizes. In this podcast, Jim talks about the three key pillars that are the foundation of the Google Apps partner program. He discusses how Google’s belief that partners are an extension of Google employees shapes the way the company approaches its partner programs, and why the cloud is the biggest disrupter to the IT reseller ecosystem. Is Lack of Collaboration Killing Your Business? Lisa A. Bing stands out for her ability to simplify the complex and rapidly drive dramatic results. As an organizational strategist and leadership expert, she helps leaders and executives transform teams and accelerate strategy implementations. She has worked with hundreds of leaders and executives across industries and from over 25 countries. Lisa has been called an "avatar for improving adult performance rapidly and dramatically." In this podcast, Lisa will talk about the leader's responsibility for creating collaboration especially in light of the increasing pressures for marketing-PR-sales to be aligned in their efforts. She'll discuss what true collaboration looks like, why it’s worth the effort to collaborate, and provide examples of leaders' best practices for creating collaborative workplaces. Over the last 20 years, Pierre Khawand has led several technology ventures, completed successful mergers and acquisitions, and founded People-OnTheGo. His Accomplishing More Leadership Program helps today's leaders develop the awareness and behaviors needed to focus on results and develop people in the midst of the information overload. He is the author of Time for Leadership, the Accomplishing More With Less workbook, the Results Curve, and the New New Inbox. In this podcast, Pierre talks about how tomorrow's leaders will need to do more than just understand how to motivate people. Getting a handle on information overload and considering stress management and wellness are important aspects of the new leadership as well. Scott Wintrip has helped thousands of companies increase revenue, improve profitability, expand market share, boost employee retention, and decrease labor intensity. He has appeared on the Staffing 100 list of the most influential leads in the world for the third consecutive year. His new book, Sales Yoga: A Transformational Practice for Opening Doors and Closing Deals, is receiving global acclaim. In this podcast, Scott talks about how sales yoga techniques can keep sales people grounded and present, increase mindfulness, and improve the sales process for buyers and sellers. For over 25 years, Joseph Rosenfeld, has helped his clients discover their personal brands and design their personal styles. His Silicon Valley clients benefit from a simplified yet sophisticated system of creating a personal brand and style suited to their personalities, goals, coloring, styles, and bodies. In this podcast, Joseph talks about how the right personal style and fashion can make or break a personal brand, and how the right alignment between personal and corporate brands can create success for both individuals and the organizations they work for. Customer Experience: Are You Ready for the New Journey? Christine Crandell, president of B2B strategy and customer experience firm New Business Strategies, leads client services teams serving customers worldwide. She has keynoted and spoken on building customer-centric organizations, aligning sales and marketing, and customer experience strategy, and blogs for the Huffington Post and Forbes.com. In this podcast, Christine talks about how managing today's customer experience is so different in the past and why understanding the journey of key customer participants to decide to purchase a product or service is so critical to an organization's success. In this podcast, Libby talks about the poetry of persuasion, and the importance of using voice and language to connect brands and customers. She explains why if companies don't find their brand voice, they'll wind up going somewhere they didn't intend to be. Roberta Matuson, president of Matuson Consulting, helps leaders in Fortune 500 companies, including Best Buy, New Balance, and The Boston Beer Company, and small to medium-size businesses, achieve dramatic growth and market leadership through the maximization of talent. In this podcast, Roberta talks about the link between employees and company brands, and why it's so important to empower managers to keep employees onboard and engaged. Wes Trochlil, president of Effective Database Management, has worked in and with over a hundred associations, non-profits, and membership organizations throughout the US, Canada and Australia. With nearly 100 articles and hundreds of blog posts, Wes is the most published author on data management in the association market. In this podcast, Wes talks about the opportunities and challenges for organizations of all types as they try to leverage Big Data, discusses why this is now such a hot topic, and why organizations ignore Big Data at their peril. Prof. Terri Griffith is an expert on the process of making combined technology and organization decisions, and then working these changes into an organization. These ideas are outlined in her recent book, The Plugged-In Manager: Get in Tune with Your People, Technology, and Organization to Thrive. As we get a tighter grip on understanding the world around us through sensors, big data, and transparency, we have the opportunity and the need to let go of many past business perspectives. In this podcast, Terri talks about Lead by Letting Go, her new project which offers a clear model for slowly letting go (backed up by decades of research, as well as modern examples) thereby improving business outcomes. Known as "the disruptive marketing guy," DS3 founder Jeff Weinberger found his passion in helping organizations identify and develop critical, yet often overlooked, strategic opportunities. With a reputation for being innovative and, well, disruptive, he helps organizations maximize the value of their key relationships to create, adapt to, and capitalize on disruption in their markets, technologies and businesses. A recognized thought-leader, speaker, writer and blogger on recurring revenue, disruptive marketing and Web 2.0/Enterprise 2.0 technology issues, Jeff’s writings can be found at www.dsthree.com/blah-blah-blog/. In this podcast, Jeff discusses why strong customer relationships are a key competitive advantage. The founder of CB Software Systems and The Chad Barr Group, Chad Barr is an Internet and business strategist and mentor who successfully guides his clients to leverage the web to transform their businesses. 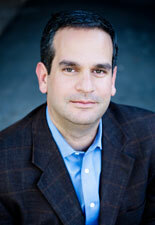 He has published over 100 articles and is the co-author of Million Dollar Web Presence, with Dr. Alan Weiss. Richard Martin is the founder and president of Alcera Consulting Inc. He is a consultant, speaker, and executive coach. He brings his military and business leadership and management experience to bear for executives and organizations seeking to exploit change, maximize opportunity, and minimize risk. He is the author of Brilliant Manoeuvres: How to Use Military Wisdom to Win Business Battles. In this podcast, Rich discusses how sales organizations who instill noble purpose in their teams break away from the pack, as well as the role of marketing in establishing and guiding purpose in the sales force. 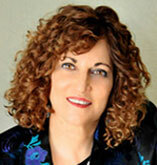 Lisa Earle McLeod is a sales leadership consultant and best-selling author. Companies like Apple, Kimberly – Clark and Pfizer hire her to help them create passionate purpose-driven sales forces. Her new book is Selling with Noble Purpose: How to Drive Revenue and Do Work That Makes You Proud. Lisa has appeared on the Today Show and she writes leadership commentary for Forbes.com. In this podcast, Lisa discusses how sales organizations who instill noble purpose in their teams break away from the pack, as well as the role of marketing in establishing and guiding purpose in the sales force. Charmaine Hammond is an international speaker, best-selling author, and business owner who has presented to more than 75,000 people around the world. Her clients have included government, industry, nonprofit organizations, educational institutions and health care facilities. Charmaine is on a mission to help authors and aspiring authors make their books into successful businesses. In this podcast, Charmaine discusses several unconventional and creative ways authors and consultants can use marketing to build momentum and reach for their work.